Thanks to its atypical qualities and the mystery behind its creation, the so-called Selden Map of China received plenty of academic attention following its rediscovery in 2008. 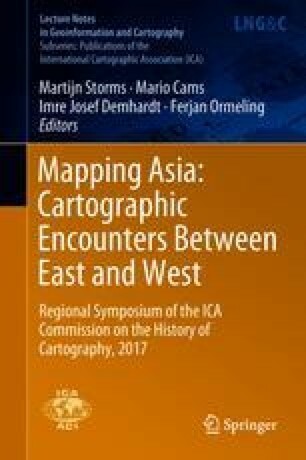 This early-seventeenth century map uses seemingly traditional Chinese map-making techniques to depict the Ming state, Joseon Korea, Japan, as well as maritime Southeast Asia. On the other hand, the coast lines of Southeast Asia exhibit a great likeness with modern maps and are unlike any other contemporary works. Scholars have explained the accuracy of the Selden Map differently. In this essay, I argue that both the argument of systematic geometrical techniques and indigenous route data each only insufficiently explain the creation and characteristics of the Selden Map. The Selden Map is a combined work and represents a hybrid combining contemporary Chinese and European data sets.